Relax at Villa Soleil in luxurious surroundings. Renovated in 2017 it has a fully equipped kitchen with dining area. The living room features comfy furniture and a 50"TV. The bedrooms have queen beds. Kick back on one of our two covered porches overlooking tropical landscapes. Shipyard is in the heart of Old Town Key West on the former U.S. Navy property of Truman's Little White house. Just steps from Duval St. and located near the Ft. Zach beach and Hemingway's house, all of Old Key West's sites are within easy walking distance. Our private oasis can be your tropical retreat. Assigned parking is provided for 1 vehicle. Oversized trucks or RVs cannot be accommodated. This unit is upstairs on the second floor and not wheelchair accessible. Close to Duval street. Pleasant and well maintained property. nice pool area. We enjoyed the balconies both morning and evening. Quiet and easily accessible. Parking for the rental car worked out well. You are literally a few blocks from everything cool in Kwest. After a brief miscommunication glitch in the check in time and the laundry being completed, Joeseph got us dialed in. Come to this place first!!! This was our second year of staying at Villa Soleil. We were talking to one of our neighbors and they mentioned that their condo was not well taken care of. We are very happy the Joe and Jack keep their condo in excellent condition. We love this condo because it has every thing you need for your stay and it is only two blocks from Duval St. We love it so well we'll be back next year. Thanks to the owners who changed their plans to accommodate us. We wanne thank you for another wonderfull week on Key West, villa Soleil was just as great as villa Nomade. It is so well maintained that we instantly felt like home. We will be back some day. 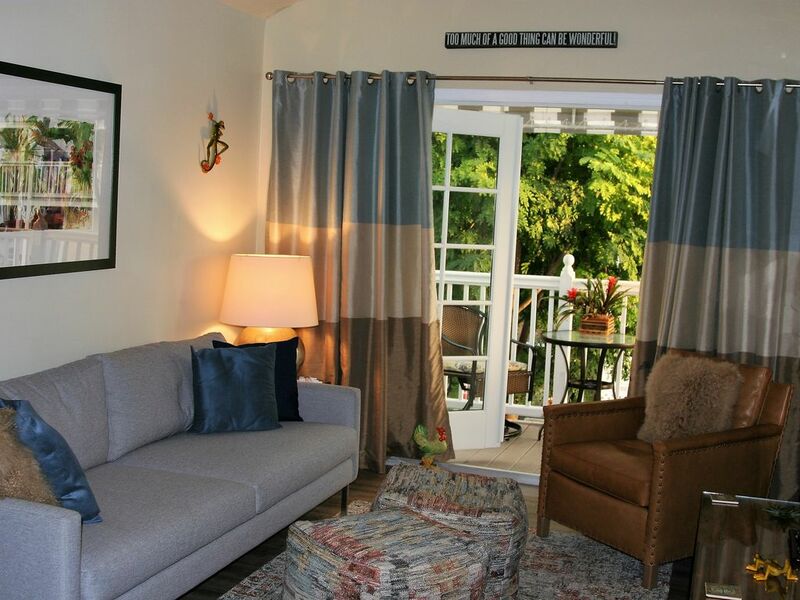 This rental was selected for a birthday celebration and a first time visit to Key West. The location was perfect for walking to all the must see attractions, restaurants, and bars but still quiet enough (and with a parking spot!) to make it very relaxing. The condo itself is just as pictured and described and was better than staying in a hotel for several days. The owners were very helpful with the reservation and also provided suggestions for things to see and places to go. Would highly recommend! You must be 25 years old to rent this property. We have a 1 week minimum per our license.